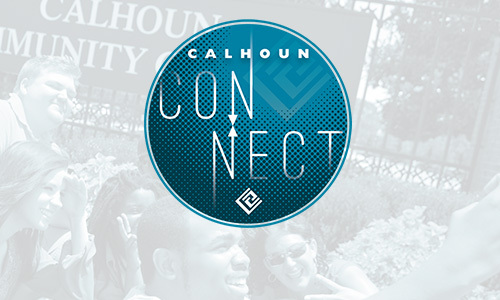 CONNECT is an opportunity for students to get their Calhoun experience off to a smooth start. Learn what to expect on the first day of class, get connected socially, and so much more! Any new student registered for Spring 2019. These sessions are designed to connect students with other students. To respect our attendees and insure adequate seating, we ask that you do not bring guests. Registration is now open, and will close December 21st, as space allows. There will be one session on both Decatur and Huntsville campuses.